Have you ever had occasion to fall in love with a city? If not, Poznan will take your heart with its unique treasures, which stand dreamily watching their own reflections in the fast flowing Warta River. Here, history and tradition interweave with modernity offering you everything from bustling tourist attractions to idyllic hideaways. The city is perfect for romantic getaways. Even if you walk the cobbled streets alone, you will be swept away by the magic that has given Poznan a reputation for being Poland’s most popular small-big city. Opening hours: Shops are generally open Mon-Fri 10am-6pm and Sat 10am-3pm. Supermarkets and shopping malls may stay open as late as 10pm. Shopping malls and supermarkets are open on first and last Sunday of the month. Small businesses open on Sundays at their own discretion. Magnificent buildings in Poznan, whose façades centuries ago witnessed the rising of a fedgling state, stand proudly and harmoniously embraced by the miracles of modern architecture. The city’s many museums tempt passers-by with their rich collections. Poznan today is a dynamic and an ever-expanding centre of learning with more and more students moving to the city each year. 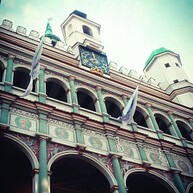 This is a city which you can keep exploring endlessly, always finding something interesting or exciting. The pearl of the Renaissance from the 16th century, envisioned by the Italian architect Giovanni Baptista Quadro. Inside the Town Hall there is the Great Hall with a richly decorated, originally preserved Renaissance vault. Every day at high noon two tin billy goats appear in the tower, butting their heads together 12 times. The Town Hall now houses the Poznań History Museum. 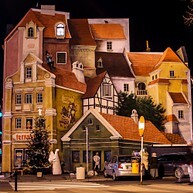 The mural was painted in 3D on the wall of a townhouse, and it tells the story of the Śródka district of Poznań. A prince, a bugle call player, a cat or a butcher’s stall can all be seen in the painting. 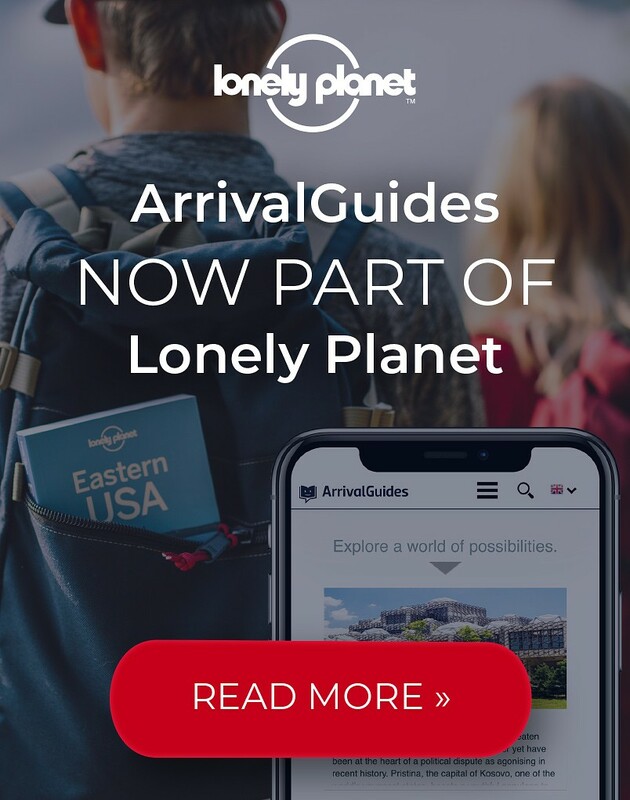 It was voted one of Poland’s New Seven Wonders in 2016 in the National Geographic Traveler poll. 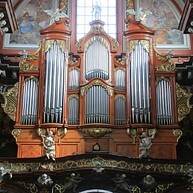 Fara Poznańska, the Parish Church of St. Stanisław, is the second largest church in Poznan after the cathedral and is famous for its priceless 19th-century organ. It is also one of the best examples of Baroque architecture to be found in Poland and has been placed on UNESCO's world heritage list. Porta Posnania is the introduction to a visit to the Cathedral Island in Poznań - an island where you experience the beginnings of Polish statehood first hand. Porta Posnania is a modern center of heritage interpretation. The exhibition and various events at Porta Posnania restore and rediscover the meaning of the oldest part of Poznań to Polish identity. I was marked out together with Marcinkowskiego Avenue in late 18th century. The square is surrounded on all sides by imposing buildings such as the National Museum, the former Bazar Hotel and the Raczynski Library. This majestic Gothic structure towering over Ostrow Tumski is Poznan’s oldest heritage building. Its cavernous halls have borne witness to historic events of extraordinary grandeur from the very beginning of Poland’s existence as a kingdom, and it is here that many of Poland’s founders and first leaders are buried. One of Poland’s top museums has an extensive collection of artefacts, among them a collection of Polish and European art spanning from the Middle Ages up to the present day. The Museum houses artifacts of Wielkopolska folk culture. The permanent exhibition entitled Folk Art in Wielkopolska features 19th and 20th century sculptures, paintings, folk costumes, embroidery, decorative items (of ceramic, iron and wood), worship objects and musical instruments. The items are grouped into four categories displayed in Textiles and Folk Costumes, Folk Art, Technology and Non-European Cultures Sections. Since 1954, the Poznan Historical Museum has been located in the Town Hall, the old seat of the City Authorities. The holdings of the Poznan Historical Museum comprise approximately 12,000 items documenting the town's history from the Middle Ages to the present day. On display on the ground, first and second floors, the exhibitions on the history of Poznan from the 17th century to 1945 feature valuable documents and works of artistic crafts. 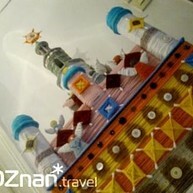 The Museum of Applied Arts is a branch of the National Museum in Poznan. 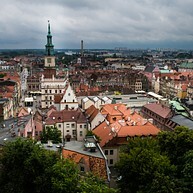 It is located on the Przemysl Hill, in the very heart of the city of Poznan. The castle tower which is 43 meters high, offers a unique view of the city and its surroundings. In the space of 1500 m² in the joint buildings of the Przemysł Castle and Raczyński’s edifice, a new exhibition, devoted entirely to the applied art, is presented. 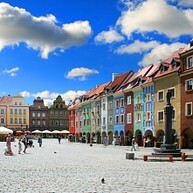 It is the only such place in Poland. Amongst 2000 objects arranged in a unique way, one can find furniture, ceramics, glass and metal, weapons, jewellery, fabrics, costumes and accessories. 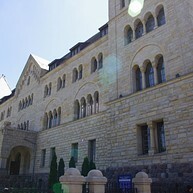 The museum presents applied art from Middle Ages until modern times. The post-World War II pavilions located in the southern part of Old Market Square house the Wielkopolska Military Museum. Reconstructed from scratch after war-time devastation, the Museum's collection comprises nearly 40,000 items. 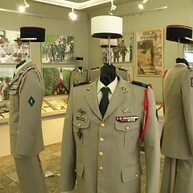 The exhibits are divided into the three sections of Arms, Uniforms & Military Signs and Historic Documentation. The visitors can learn about where the shape of St Martin’s Croissant comes from, what are the secret ingredients of its recipe and even take part in baking it, under the watchful eye of the Croissant Master. Booking in advance needed. 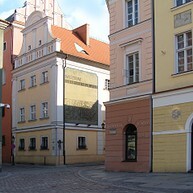 This is a popular museum located in the centre of Poznan. Poznan Archaeological Museum exhibits many objects from different countries around the world like Egypt and Sudan. It also offers educational programmes for its visitors. This is a monumental Neo-Roman structure designed to be the German emperor’s residence. 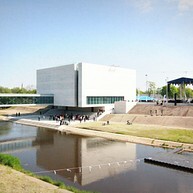 Today it houses ZAMEK Culture Centre with exhibitions, workshops and concerts attracting huge crowds. In summer musical recitals take place in the courtyard in the open air, which provides a wonderful way to spend an evening. A sports and recreation complex, situated on the north shore of Maltańskie Lake. It is an ideal place of relaxation and leisure. 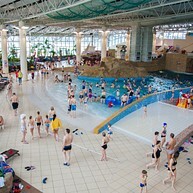 The complex houses 18 sports and recreational swimming pools, thermal water pools, an aqua park with many attractions (eg. a beach, 11 waterslides, 2 rushing ‘wild rivers’ and a pirate ship), 14 relaxation zones and over a dozen kinds of saunas and wellness facilities all year round.